The new Acute Care Unit at Moore Regional Hospital is a new 12-bed renovation project in the Reid Heart Center. 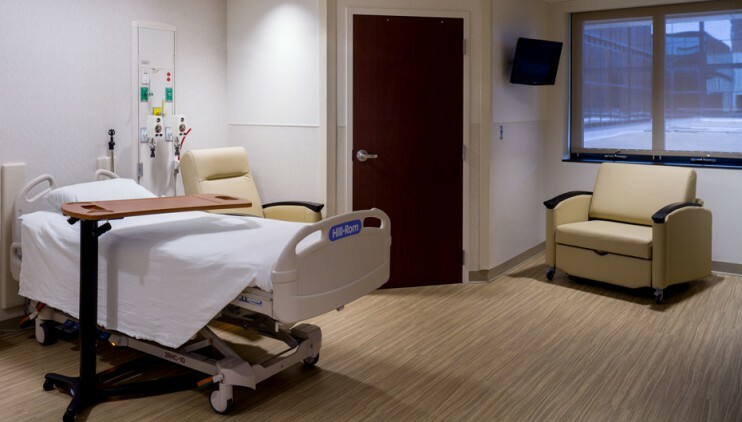 The new unit is defined by larger room sizes and glass patient room doors. Each of the rooms provides space for the patient, family and the clinicians, including double vertical headwalls and dialysis capabilities. 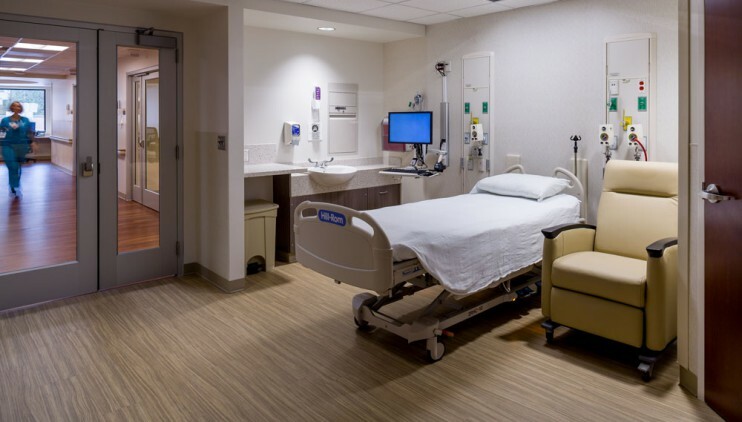 Although the project was originally conceived as a 25-bed addition to the hospital, renovation of existing space within the Reid Heart Center provided for a new 12-bed intermediate care unit and saved the hospital $10M when compared to their original CON budget. A new connector bridge from the Reid Heart Center to the Hospital has provided a much needed additional link between these two major campus facilities. 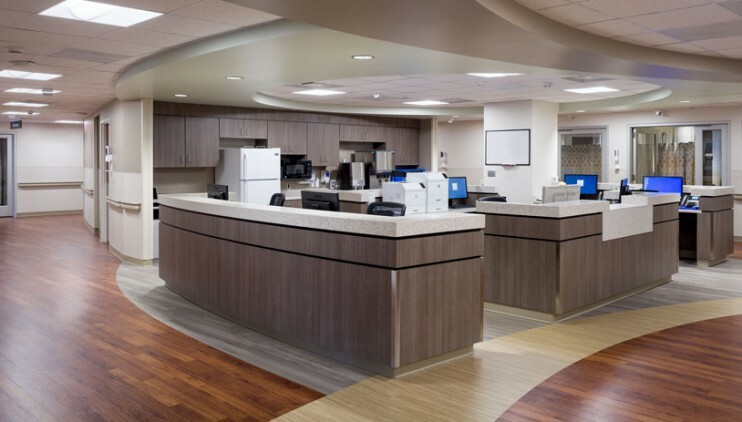 The project is a complex unit built in the center of a functioning hospital and proved successful by maintaining the budget, schedule and purpose throughout the process.